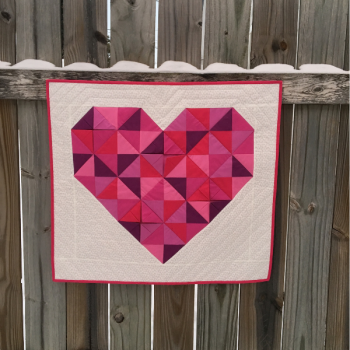 In this month's SewBusy Box, we have the prefect gift for your Valentine. Prairie point blocks allow a couple of places to write a secret message for your valentine. It’s quick to assemble, so you should have it ready to go for February. We’ve even included a card to wrap up with your gift.